Worried that you may need a new job in substance abuse? There are warning signs in the workplace that can tell you if your job is in jeopardy or if you’d just be better off moving on. Are you no longer feeling satisfied at work? Or are you satisfied with your job yet feel a change in the way that you are being treated by your boss or management? These may be warning signs that it’s time for a change. There are some obvious clues and not so obvious clues that you should probably move on. An obvious clue would be one of your subordinates being promoted above you. Another would the loss of your office, parking spot or other perk, when others in the same position are not feeling the same crunch. So, what else? Are you unhappy? That’s really the biggest sign that you should probably move on and find another job. It doesn’t matter that this has been the perfect job for you in the past, you have a history here or that you love some of your co-workers. If you are miserable and can’t stand being at work anymore, it’s time to move on. Your boss seems to dislike. It doesn’t really matter why, just that it is. If you are criticized at every turn and never given any sort of encouragement, while others are, this is a problem. Also if you have been denied raises and promotions that others are receiving regularly, obviously someone doesn’t appreciate you and you need to move on to a place that will. You’re not growing. This is actually a big, and valuable, part of work and career. If you’re not continuing to learn and expand your horizons, no doubt you are bored out of your gourd and will soon become a clock watcher if you haven’t already. The business is failing. If the business is not doing well, there is probably a lot of anxiety and fear in the workplace. Oftentimes, people stop being respectful and kind to one another in these instances. Also, consider that if you wait until a failing business’ doors close to leave and find a new job, you will be in competition with all of the other newly unemployed people fresh on the street. Get a jump on them. Work is eroding other areas of your life. If the way that you are being treated, or not being treated, at work is causing you physical and emotional pain, this is the final straw. 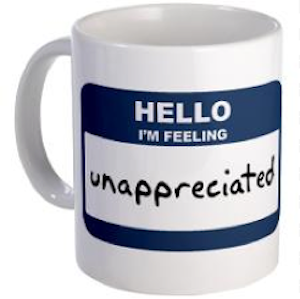 Not being valued, appreciated or worse on the job can lead to anger and frustration that we are likely to take out on those that we care about the most. If you are taking out your negative emotions on friends and family, it’s not worth it and you need to seek employment elsewhere. There is no perfect job in substance abuse and there are no perfect companies either. Before you make a rash decision and leave a job, make sure that there isn’t something going on internally with you that needs to be addressed first that may fix the situation. If this doesn’t apply and you can relate to the above warning signs, it may be time to look for another job.